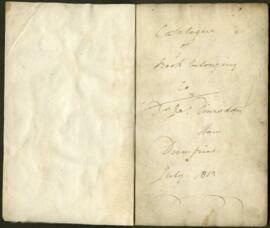 This notebook contains a catalogue of books owned by James Dinwiddie in 1813. 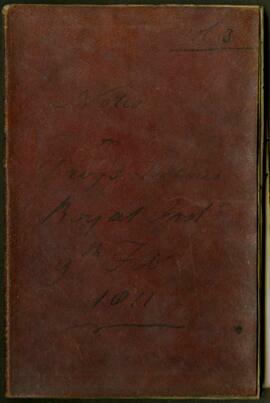 This file consists of one notebook. 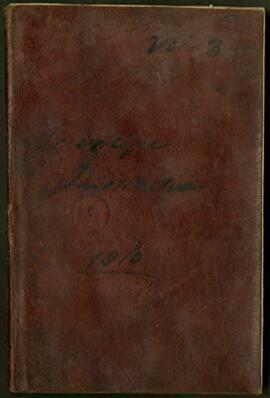 James Dinwiddie records his observations on China in this notebook. 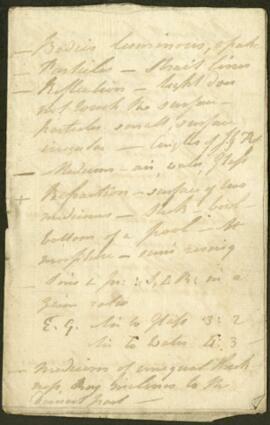 He makes several notes about geography, animal life, and various customs. 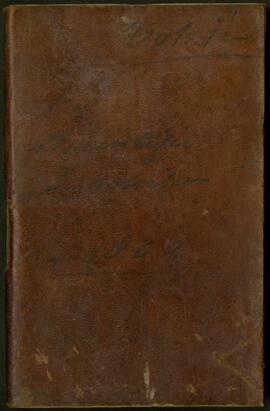 This file consists of one notebook. 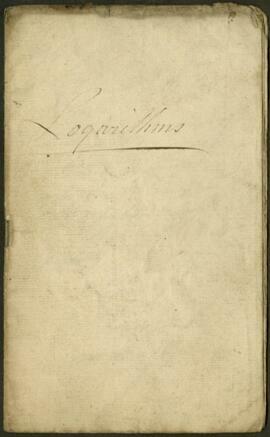 This notebook kept by James Dinwiddie examines arithmetic involving logarithms. 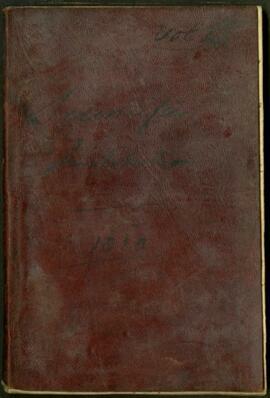 Dinwiddie includes sections on addition and subtraction as well as example calculations. This file consists of one notebook. 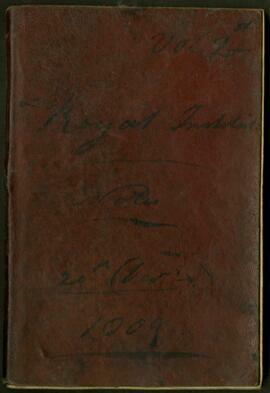 This notebook begun by James Dinwiddie on January 2, 1776 contains his observations on planetary motion. 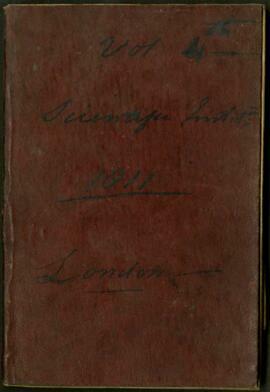 He notes observations on the orbits of Mercury, Venus, Mars, Jupiter, Saturn, and the moon. 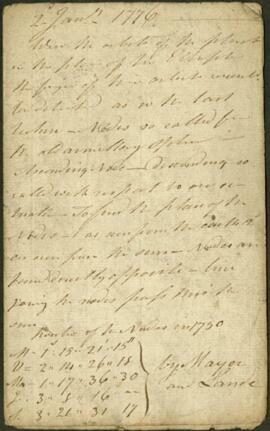 This file consists of fourteen pages of notes. 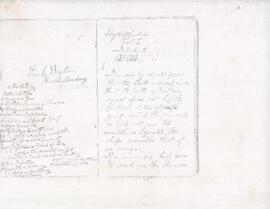 File contains photocopies of Lois E. Bigelow's notebook and diary. 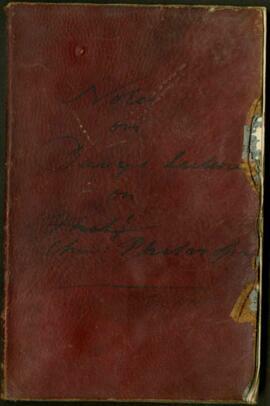 The notebook includes lecture notes from her studies at Horton Academy. 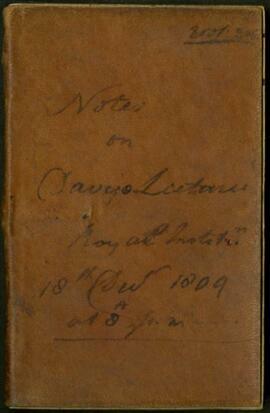 This notebook kept by James Dinwiddie between December 20, 1809 and April 19, 1810 contains notes on Mr. Davy's lectures at the Royal Institution which focus on a variety of topics in chemistry. 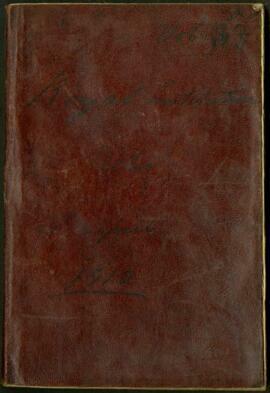 This file consists of one notebook. 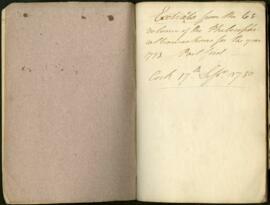 This notebook kept by James Dinwiddie between June 21, 1810 and April 22, 1811 contains notes on lectures that focus on a range of topics in chemistry including metals and electrochemistry. 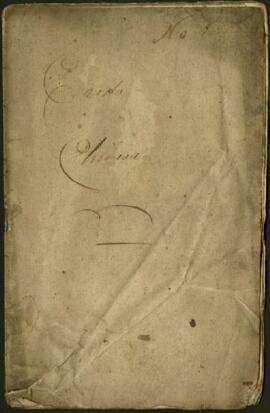 This file consists of one notebook. 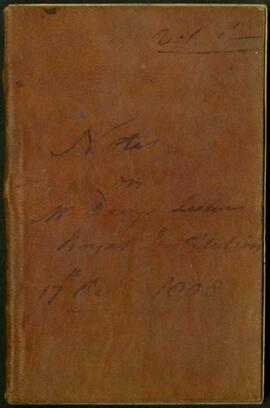 This notebook kept by James Dinwiddie examines vision. Dinwiddie describes the structures of the eye as well as the diffraction and refraction of light. 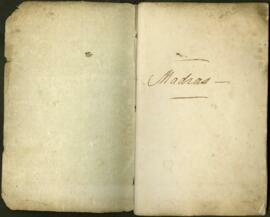 This file consists of two journals.